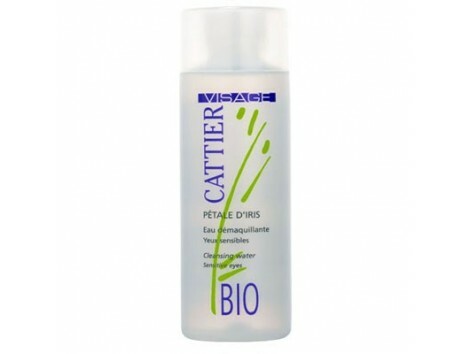 Cattier Cleansing Water Eye Iris petals 100ml. Cleansing Water Iris petals Catti has been specially formulated to clean the eye makeup without irritating the skin of the eyelids, particularly fine and sensitive, like the eye contour. This product is ideal for sensitive eyes. 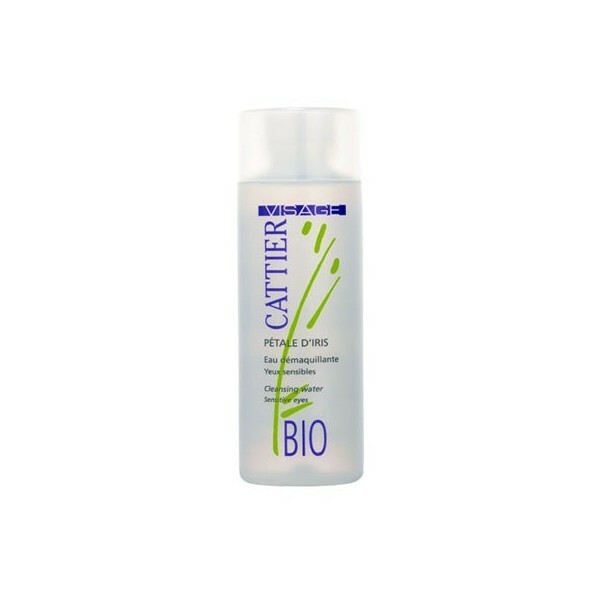 Water enriched with chamomile flowers and aciano bio, calm, clean and softens the skin. It also has a cooling effect and soothing. Endorsement: Ecocert-BIO Components: Water iris flower petals *, chamomile flower water * * aciano and water, rice flour *. * cbc = controlled biological cultivation. Composition INCI: Aqua (Water), Centaurea cyanus Extract *, Anthemis Nobilis *, Glycerin, Cocopolyglucose Sodium Tartrate, Diglycerine, Sodium Benzoate (and) Potassium Sorbates, Benzyl Alcohol, Lactic Acid. * cbc = controlled biological cultivation. Tips: Pour a few drops of product on a bit of cotton and gently remove the makeup from the eyelid to the tabs.